The Brooklyn Borough President is calling on all retied and off-duty officers to carry a gun with them when they go to a house of worship and his words come a day after a gunman opened fire inside a synagogue in Pittsburgh, killing 11 people. Arthur Schneier, a rabbi at Park East Synagogue in Manhattan's Upper East Side, said the shooting at a synagogue in Pittsburgh was an 'unbelievable' tragedy. Adam Kuperstein reports. 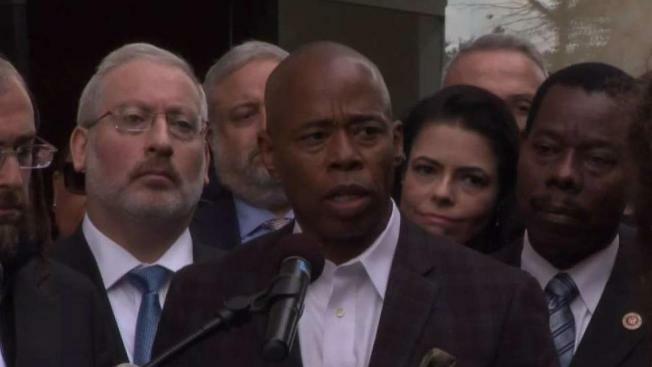 Eric Adams, a retired NYPD captain, pledged to bring his gun every time he enters a church or synagogue, and we wants others to foloow his lead. Jewish, Christian and Muslim leaders gathered with city officials in a show of unity to condemn hatred and bigotry in the wake of a shooting at a Pittsburgh synagogue that killed 11. Ida Siegal reports. Later, Democratic State Assemblyman Dov Hikind, who represents part of Brooklyn, applauded Adams’ message on Twitter. 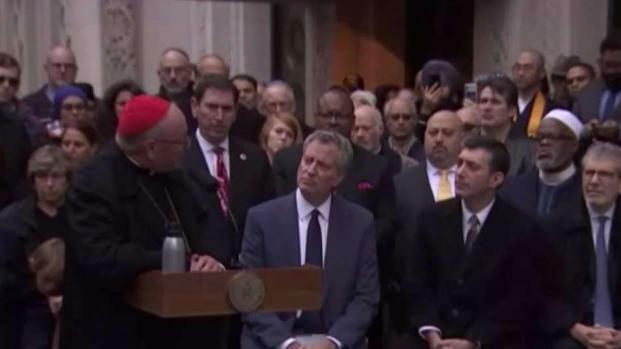 On the other side, however, Mayor de Blasio opposed Adams’ idea. “Houses of worship do not have to have armed guards to be able to practice their religions,” he said. 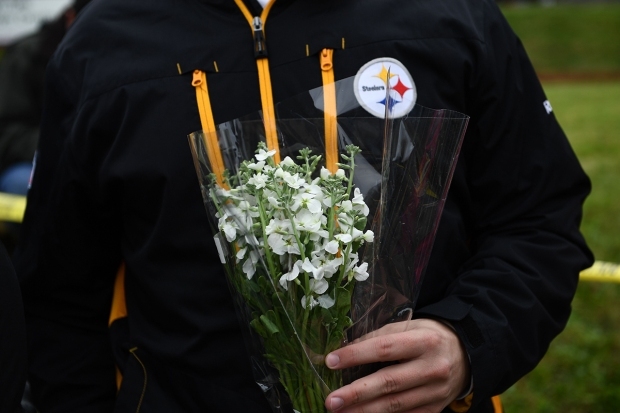 On Saturday, a gunman, allegedly 46-year-old Robert Bowers, opened fire during a prayer service at the Tree of Life synagogue in Pittsburgh. Eight men and three women were killed in the rampage before a tactical police team tracked him down and shot him. The suspect expressed hatred of Jews during the rampage and later told police that "all these Jews need to die," authorities said.